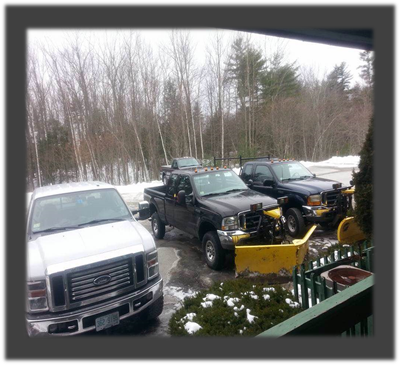 I've been snow plowing in Raymond NH for a few years and recently branched out to surrounding towns such as Candia, Epping, Fremont and Chester. 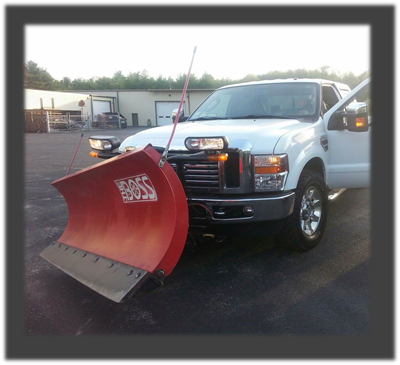 Pike's Plowing is insured and prepared to handle driveways and commercial parking lots throughout the nearby areas of southern New Hampshire. I have multiple trucks and employees to make sure I fit the needs of your schedule. My prices are fair and I can also coat the plowed area with sand upon request. I have always had a passion for fine tuning cars and trucks, and I've been a mechanic in my past. I know a good deal when I see one and I can fix any of the problems that come with my purchase, so I like to flip cars when the opportunity comes up. If you have a car for sale or if you have questions about my cars, please call me directly to discuss it. I'm not a used car dealer, but I may have a few cars or trucks for sale near Raymond and Epping NH at any given time. 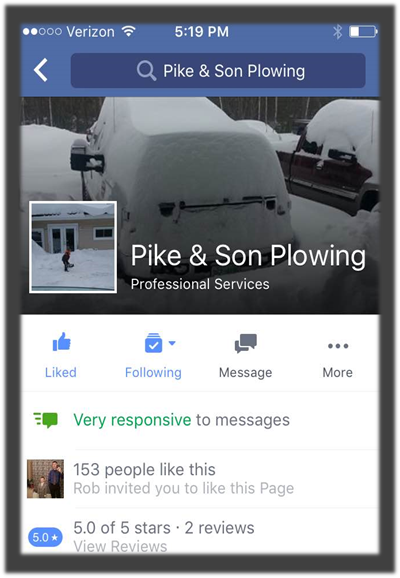 Online reviews and customer reviews have been driving my snow plowing services to the next level. For every review I get there seems to be another customer calling me about buying their vehicle or plowing their driveway. When you see me plowing your driveway I encourage you to take a picture of me and post it on Facebook. I want everyone to see me in action so that they can leave me a review as well, or contact me for my services. As I gain new customers I hope to lower my rates because it saves me time and money to snow plow multiple houses in a single neighborhood. In that case I would offer cheaper rates to my current customers before I offer better rates to new customers. When we meet face-to-face you'll see the passion in my eyes. I care about every customer, and every driveway that I plow because my family counts on me to support them. I have a boy and a girl, Caden and Aubrey, that I want to set an example for through my hard work. I want to teach them that making money comes second to customer service, and that extra hard work always pays off. I promise you'll be happy with my plowing services because I do the job right every time.